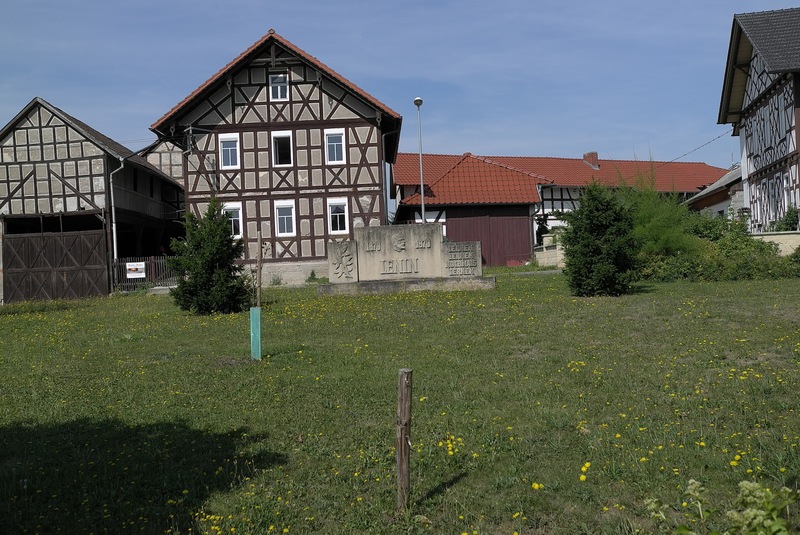 Hellingen is the last town of Thüringen before reaching the border to Bayern. 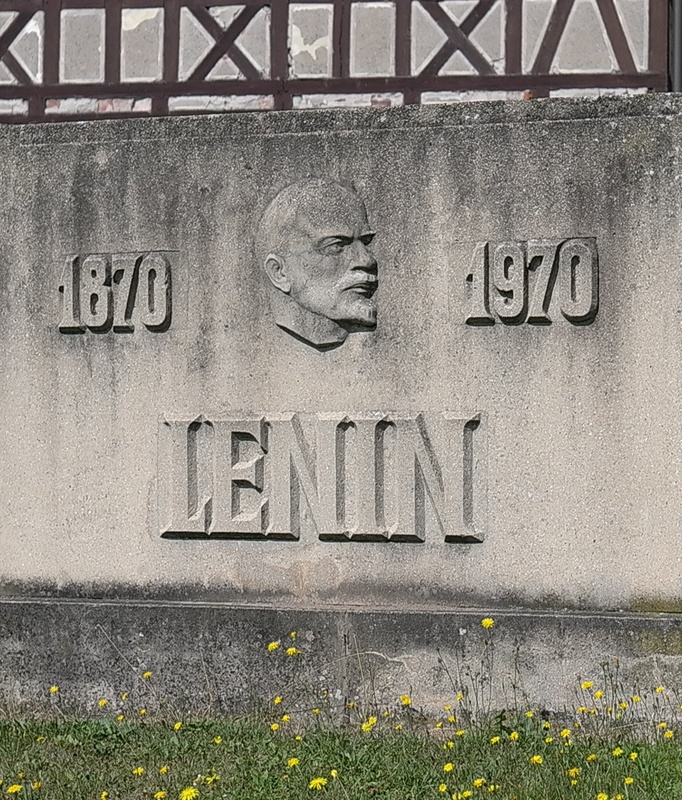 In 1970, on the occasion of the 100th anniversary of Lenin a memorial stone with a relief of the head of the Communist hero and his quote “learn, learn and learn again“ was erected in the Schiller Square. 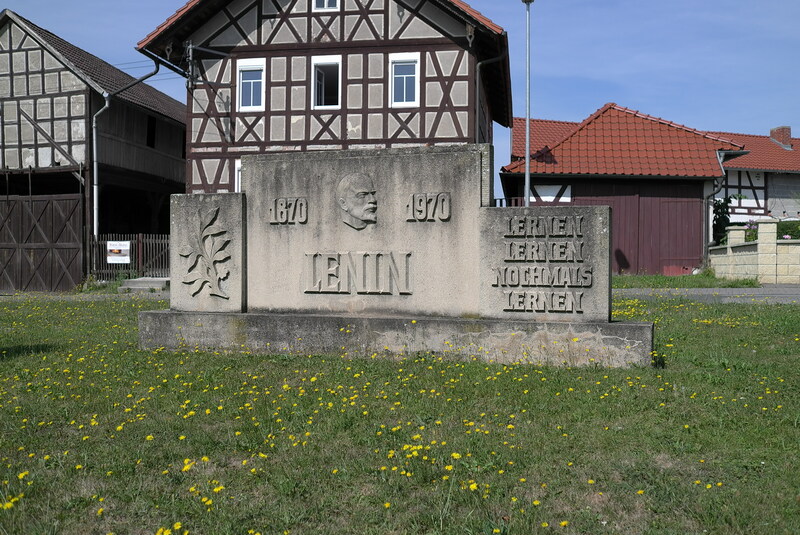 For many decades the coexistence of these two prominent figures seemed to be harmonious, however in 2015 the newly elected major Christopher Other presented a plan in order to substitute the monument to Lenin with a new one dedicated to the German writer and philosopher Friedrich Schiller. The main argument seemed to be, that the new monument would better suit the name of the Square.